Directed by Dario Argento, this Italian horror film boasts a unique style and a soundtrack by progressive rock band Goblin. Nominated for two Saturn Awards, this was Argento’s most successful film ever. This 1987 film parodies Star Wars, along with numerous other science fiction films. With an all-star cast, this is Mel Brooks’ most popular film. This Platinum album gained the band a wider audience and featured the hit No One Like You. It paved the way for their mega-hit album, Love at First Sting. Released in 1994, this was their breakthrough hit, producing five singles. It went five times Platinum and won two Grammys. These three books sold fifteen million copies combined and were adapted as comics and role playing games. Their success rekindled interest in the Star Wars franchise. This 1961 novel won the Hugo, was the first science fiction book to enter the NY Times Best Seller list, and was named one of the books that shaped America by the Library of Congress. Want to follow the journey of a writer dedicated to her craft? Someone who absolutely does not give up? Enjoy weird tales and funnies on Friday? Then follow the awesome Sarah and her dog, Yvie! Want to follow the funny stories of a mother? Think you’re smarter than a grade schooler and a German Sheppard? Then you need to follow the delightful author Sherry on her adventures! Want to enjoy life in the Rockies? 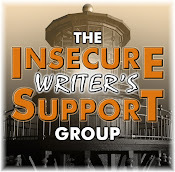 Meet new authors and learn more about writing and marketing? Then stop by for coffee with Sia! Want a little slice of pop culture humor and observations? Enjoy middle grade books with a happy spin? Then visit the delightful Stephanie today! Lt. Shadvey is the squadron leader on board the Ryzell. The son of a Duke, he is an honorable man and cares about the pilots who fly under him. He’s known Aden since childhood and is probably his closest friend. A Galaxy Quest series is in development! Visit JoBlo for details. For some reason, studios keep giving him money – M. Night Shyamalan has another movie coming out this fall called The Visit. Read more at JoBlo - trailer to debut on Thursday. Based on the television show, Denzel Washington is a man trying to live a normal life until he intervenes on behalf of a girl and goes after the Russian mob. The movie is very stylish. It has an early Michael Mann feel to it. It’s not a fast paced movie – it’s more character driven than anything else – but when there is action, it’s electric. Denzel plays Denzel and he does it well. The villains are a bit too cookie-cutter though, and the film could’ve been twenty minutes shorter. Overall it was a good film. Recommended as a NetFlix rental. Spaceballs fan? Listen to those bands? Read Zahn’s Star Wars books? Following those wonderful bloggers? Have you seen The Equalizer? Think Shyamalan needs to stop making movies? And do you want to see Galaxy Quest on television? Don’t forget to visit Donna K. Weaver! Sherry Ellis is a delight to Blogspere, how often I have laughed at the antics of her wonderful family. I thought Star Wars would be on your post somewhere. used to like that years ago along with Star Trek. Spaceballs with Mel Brooks to spice it up, it ought to have lots of laughs! Would like to visit the bloggers forthwith. Thanks Alex! I enjoyed watching The Equalizer, even though I wasn't too familiar with the TV series it was based upon. Spaceballs is more my type of movie. I like to laugh. I don't know the music. Great picks for the books and with Stephanie. My two oldest boys liked Spaceballs. "The Zoo" is my favorite Scorpions song but I think it was on the album before that one. I've seen Spaceballs and read both Heinlein and the trilogy. I guess Zahn's books are no longer considered canon, which is a shame. Spaceballs was a funny movie. In the German synchronization they changed all the names. Lord Dark Helmet has been changed in Lord Helmchen which means little helmet. Sherry is awesome. I enjoyed your guest post at Donna's. It's funny the head guy at JoeBlo... is a friend, he is one of the coolest guys I have known for years. I also heard that Suspiria is also in the works for a show too. I cannot even imagine that, well if Bruce Campbell can be Ash vs. the Evil Dead, why not. I would so watch Galaxy Quest: TV, never give... never surrender! Galaxy Quest is a totally fun one to watch. Its character's based on a Star Trek's tv show are green with envy every time 'Shatner' take the spotlight but its so much more. Its got everything. I loved Zahn's Star Wars trilogy. He did a fabulous job with the characters. I could see them from the films doing and saying the things they did. I loved Soundgarden when they came out. Very distinctive sound among what was being played at the time. Why *do* producers keep funding Shyamalan? Because Shyamalan is hella talented, that's why. Yvonne, I covered it with movies and books today. Rosey, it was, and that's my favorite one as well. Jeremy, that is really awesome you know the head guy!! Donna, shame they never turned his books into movies. Elizabeth, I have no idea. He's not had a good film since Signs. I think my boys have some of those Star Wars books. Not much of a Shyamalan fan. I remember Space Balls. One of my favorite movies. Nice guest post too. You were already the famous ninja captain when I met you and you are still as much a mystery as you were then. Tge only difference is that now I like you, hahaha. Feeling a sense of achievement. I know all your S bloggers! Good to meet the S bloggers for today! I have seen The Equalizer--I love Denzel--and it was a little dark for me but still a good flick. I'm already a big fan/follower of Stephanie's! Spaceballs is hilarious, we just introduced our son to it this year! Great choices for "S" bloggers, all wonderful ladies! LOL! I had to laugh when I remembered Space Balls! I loved Sound Garden growing up... Black Hole Sun was my favorite. Hey Alex! I hadn't heard of the The Thrawn Trilogy, so I'm going to read it. I just started rereading "In the Courts of the Sun," after mentioning it to you. I want to read the whole Sacrifice Game trilogy. So much to read! Lucky me! Have a good one! I know every one of those ladies. They are all awesome! I've never read the Star Wars books? I've only seen the movies. Space Balls! Ha! Nice choice. Soundgarden - great choice now I need to listen to some of that sound. I knew Star Wars would have to surface in some form for "S"
"We are luminous beings" we should all be light..jmo..
Jeremy, you should score an interview with him. Lauren, that was my wife's favorite. Fundy, you have a lot of reading ahead of you. Sarah, glad it pleased you. Spaceballs is so funny. Stranger in a Strange Land is quite the SF novel, too. I agree with your review of the Equalizer, as well. We saw it in the theater and it was good, but would be a better Netflix watch. I actually saw Spaceballs. Without Sia McKye I would never have discovered A to Z. She is a good friend and I love her posts on her home state. Sherry's stories are delightful. I also know Sia and Stephanie. I'll stop by Donna's place later. Yes, M. Night needs to go home and rethink his life. The Schwartz is not strong with him. It's been many years since I've read Stranger in a Strange Land. As I recall there was a lot of connection to the hippie movement and the 60's and all. It struck me more as a commentary on society in the guise of science fiction. I probably need to read it again. I like Denzel so will add The Equalizer to my list...sounds like my kind of escape movie. Soundgarden - great band! I've read all of those books - not a fan of Heinlen, but Zahn rocks! I'm not sure if I want to see Galaxy Quest on tv; it is such a perfect movie. I didn't know that about a Stranger in a Strange Land. I wonder what made it rise so high? I'd need to go read it to see what all the hullabaloo is about! book and movie - Sense and Sensibility. Those are my S suggestions. I'm actually seeing a play of it on Sunday in Dallas. Happy Wednesday! Jo, her posts this month have been fascinating. Andrew, that made me chuckle. Tyrean, they would have to do it right. Elizabeth, just ignore the robot question. You don't even need to answer it. I read Stranger in a Strange Land in HS English class. I remember really liking it, but I no longer remember what it was about... oh geez, I'm losing my mind. I am a Star Wars anything fan. I like the Shyamalan movies, but I also think that if he gets big bucks for his stories that there is hope for...me. Why thank you, Alex, for the mention. I LOVE Timothy Zahn's books. He does write a lot of fan fiction and does it so well, but he has other books as well. I love Spaceballs. Go to movie for laughter. Equalizer was a good movie. You've featured some super bloggers here today. I'll pop by Donna's to say hi. "Spaceballs" is his most popular film? Huh. People who know me are positively shocked (can't blame them, really) when they learn that, of all of Mel Brooks' films, I hated this one. I really can't tell you why. In fact, the only reason that I didn't walk out of it (I was soooo bored) is that I'm cheap. In other words, I paid for the ticket. I DID like "May the Schwartz Be With You." That was kinda clever. Give me "Blazing Saddles" and "Young Frankenstein" any day of the week. I love Spaceballs and Soundgarden. And Stranger in a Strange Land is one of the first grown-up sci fi books I read as a young adult. Great choices! I liked Space Balls, but I agree with Al that there are better. I think I'm following all the great S folks you've highlighted. I'll check to be sure. Thanks, Alex. I liked Spaceballs but I'm surprised that it's considered Mel Brooks most popular. It certainly wasn't his best. And I already know all the "S" ladies you mentioned. Nice choices. Al, my personal favorite is Blazing Saddles. Was it Spaceballs where I picked up the annoying habit of making the "shhh" noise at automatic doors, or was that Airplane in space? I'm getting old and my spoofs are melding in my head. Except for one movie and one book set, I know everything and everyone on your list today! All stupendous! I'm concerned with Hollywood's sudden revival of everything. They're scaring me. 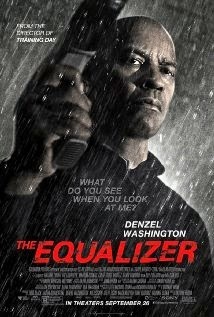 I'll have to check out the new Equalizer. Galaxy Quest would hopefully make a great series. Picked good bloggers today! Great blogger choices. I've been waiting to see The Equalizer. I'm not a Shyamalan fan but he must make money or he wouldn't keep going. I'm laughing to myself just remembering SpaceBalls! Bwa hahahah Cheers Have a great day! The Equalizer looks good. Can't figure out why I haven't seen it yet. Love all Mr. Washington's movies. Favourite: Man on Fire. Love Spaceballs! I wasn't too crazy about The Equalizer, but I saw it for free so I can't complain. Elizabeth, now that you mention it, I'm not sure. Great letter for today. I love spaceballs, "May the schwartz be with you." Also the Star Wars books I remember reading, though I'm hard pressed to remember much about them. Also, I checked out Stephanie Faris, was delighted to discover the topic is the 80's. I've been following Stephanie for some time. I can't remember how I first discovered her, but she's awesome. I adore her. My dearest, oldest friend made me a mixed tape of some of her favorite alternative rock back in ninth grade (1994), and Soundgarden were among the bands whose songs she recorded off the radio, or her own cassettes. It's been awhile since I've listened to that tape, though I still have a small boombox which plays tapes. I visited Donna Weaver and enjoyed your post there! Thanks for the shout out! I had totally forgotten about the Scorpions. I liked that group. Spaceballs is a great movie. Spaceballs is an awesome movie. Hmmm, Galaxy Quest could work. Depends on who they get for the show though. Sure they could get Tim Allen and Monk back easily, especially if Allen's show gets cancelled. I love spaceballs! Such a great movie! I haven't seen Equalizer yet. Thanks for sharing! Thank you for including me! I feel like a star. I've seen a few new faces today and I know it's because of this. I remember seeing Spaceballs at the movie theater where I worked. I walked out midway through. (Although, to be fair, I worked there and admission was free, so I walked out of movies a LOT!) I just didn't get most of the jokes. I'd seen the Star Wars movies but I didn't live them quite like others did. Jeffrey, she has a fun theme for the Challenge. Carrie-Anne, that was nice of her. Mary I equate them with hockey now. Pat, his show is doing really well though. Spaceballs was the only movie I ever walked out on because I just couldn't take it anymore. Went and got my money back and bitched about how much Mel Brooks had fallen so the Manager gave me a free pass because he understood. That is one of the trickiest balancing acts - maintaining a presence w/o ruining privacy. I am off to read your tips. Thanks in advance. Cult classics are not in my favor today. I only heard of Spaceballs and I never did watch it. It was a toss up between The Equalizer and A Walk Among The Tombstones and we picked A Walk. Which was also good. Next we'll try watching the Equalizer. Great guest post on Donna's site. Your stats are mind blowing. 14 million visits? Geez. I hit 1 million last year, but that was after 9 yrs. Big Spaceballs fan here. That movie never gets old. And that Soundgarden album will forever be linked to my college days (junior year). I know some of the ladies. Will stop by for a visit. Haven't read the Star Wars book. Enjoyed the movies. "Stranger in a Strange Land" sounds like an interesting book. I tried reading Stranger in a Strange Land a few times, couldn't get into it. However, Space Balls is a fun movie. Sorry you didn't like it, Cal. Cathrina, I still need to see that one. Jay, it blows my mind!! Maurice, I know! Or Blazing Saddles. Both Star Wars and Spaceballs in the same post :). Shyamalan needed to stop making movies about five films ago. \o/ SPACEBALLS. I love this movie and watched it when I was little. I laughed so hard when the alien that pops out of the guy's stomach started singing... after being terrified. I haven't seen the equalizer. In the last blog comment I left, for the blog I visited just before yours, I just wrote how much I hate scorpions. Now I will say how much I love the Scorpions. The 80's band, that is, not the creepy crawly killers. I'm already a huge fan of Stephanie Faris's blog, but will gladly check out the others. You've steered me in the right direction so far. It's been years since I read it, but I recall liking A Stranger in a Strange Land. I enjoyed reading your post for letter S. I have only seen one movie you talked about and I thought it was good - Equalizer. I've never seen any of the others. I'll have to check out the bloggers you highlighted. Blessings. Great idea for a theme and I love how you feature other bloggers. Something to think about for next year. Cheers! Isn't Shymalan the dude who did the one about the seeing of the dead people? Saw the Equalizer and really liked it.. I remember the TV show fondly and so it was interesting to see it "updated." Birgit, it did fit with the character. Melissa, two different kinds of beasts! Debbie, thanks - I've done it every year. Three Cheers for Spaceballs, one of THE greatest movies ever made!!!! I remember Blackout. The Scorpions rocked! Funny how the Eros can sing English with little to none of their spoken accents. I love Sherry's Mama Diaries! Her posts bring back so many memories of when my two were young. Blackout was a fantastic album, but Crazy World will always be my favorite. It's a shame Disney has dismissed the Star Wars EU, especially since The Thrawn Trilogy was really the first and best expansion of the original saga. I'd love to see a Mara Jade or Thrawn cameo in the new movies. I just don't even know why Shyalmalan bothers anymore. How do studios keep getting duped into giving him money to make more fail movies? Those guys must be dumber than I think. I've read Stranger in a Strange Land. 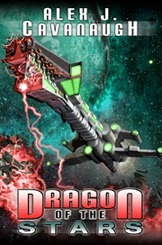 It was one of the early scifi that I read after Asimov and some others. I already follow Sherry E., and some of the others. I was up until 130 finishing my post last night, as other things got in the way. . .but the A to Z show must go on. I loved the Zahn books. I remember a friend of mine wrote a soundtrack to them, just in case someone needed it. I'm now gonna go see you at Donna's. i spotted the suggestion of a galaxy quest series? how awesome that could be if done right! and i sent myself the blogfest info - you know what most will post about, but that's ok! should be fun! Shyla needs to find his mojo. What he did to Avatar: The Last Airbender was unforgivable. It made money but still was God awful (Thank God I didn't go near it at the movies). Is it a sin that I still have not seen Spaceballs yet? Steph Farris is my girl! The Equalizer was wonderful at the cinemas and I agree that the diner had some of the best moments. I enjoyed the pace and the action was great when it happened. I will watch it again on Netflix. Thanks for letting me know that it was there. Which movies did you see this month Alex? I saw Get Smart, Furious 7 and Home. Oh and spoiler alert! I got your new book for my kindle Tuesday night. Have to wait until next month to read it because of promises made but I got my copy. Yay! Enjoyed you guest post at Donna's - great topic and tips. I really loved Spaceballs - have seen it 19 times. Soundgarden sounds familiar. There's a Galaxy Quest TV show in development? I would definitely watch that! You featured some amazing bloggers today! Space Balls is crazy funny! I've never read the Star Wars books, but the reviews make them sound like a good read. I wonder if the J.J. Abrams movie will have elements of their storylines. I've always loved Spaceballs - not quite as good as Men in Tights, but almost :) Dark Helmet makes it for me. I didn't like the Star Wars follow on books - my sister had a couple of them and I just couldn't get into them. I keep meaning to see The Equalizer - maybe it will pop up on the movie channels soon. Space Balls was such a fun movie! I'm surprised that it was the most popular Mel Brooks film. 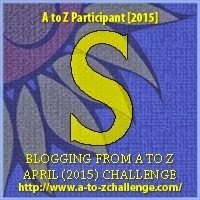 Lots of great bloggers that start with an "S!" Sorry I got here so late, Alex! Spaceball is one my favourite film parody. Timothy Zahn's The Thrawn trilogy was a great suprise, when I first met with the books. I should re-read them. Bob, I know - they would've made perfect sequels. Tara, glad you're on board! Sheena-kay, thank you! Hope you enjoy it. I only got out to see Furious 7 this month. Will see more next month. Zoltan, they have the perfect pacing. M. Night is always intriguing! Stranger in a Strange Land was pretty good. I read most of Heinlein's stuff. Welp. I must not have hit the button right since the first thing I wrote went pinging off into the ether. Anywho, zootalo, I have found you! Glad to be here. And now to read your stuff, though I'm sure I must have read at least SOMETHING since I'm never without a book. Woo! Soaceballs! Love that movie. 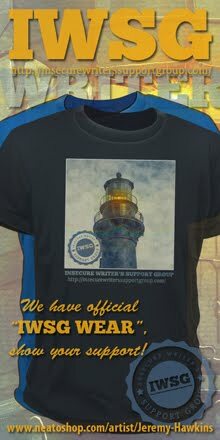 Merchandising!